This is my digital picture frame project. There are many like it but this one is mine. I recently cleaned out the Big Box of old gear and found my stack of retired ThinkPad laptops screaming to be used for something. The plan is to create two picture frames, one from a ThinkPad 600E and another from an X30, in that order. There are tons of other projects out there, some even using a ThinkPad 600. Unlike many of the others, I'm trying to run the machine with minimal overhead for an OS and without rotating storage. And then I want to use the Laser Cutter to create a housing and cherry wood frame. Pictures and docs coming as we figure it all out. So far, I've been successful in running flickr-pitchr in a VirtualBox VM and managed to get it to pull from my flickr stream. 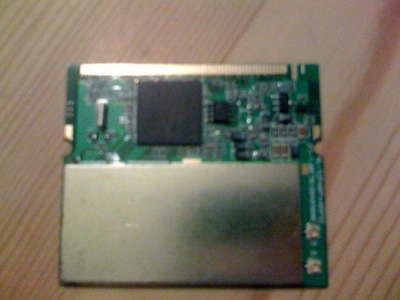 I spent several hours trying to figure out how to move the virtual HD to a CF card to use as the boot media. Eventually I figured out how to do it with dd. "It's easy once you know how!" 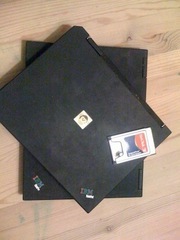 Unfortunately, trying to get either of the ThinkPads to boot from it ate up the rest of the day. 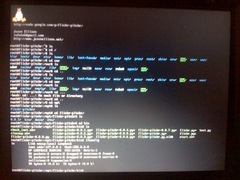 I rebuilt the CF image a couple of times and eventually eliminated that as the problem but neither laptop would boot. Turns out, my TP600 has a failing motherboard. It booted from the CF once and then refused to do so again. The X30 it turns out, simply won't boot from CF media. Maybe with a BIOS update it would work but updating the BIOS on the X30 is a story for a different day. 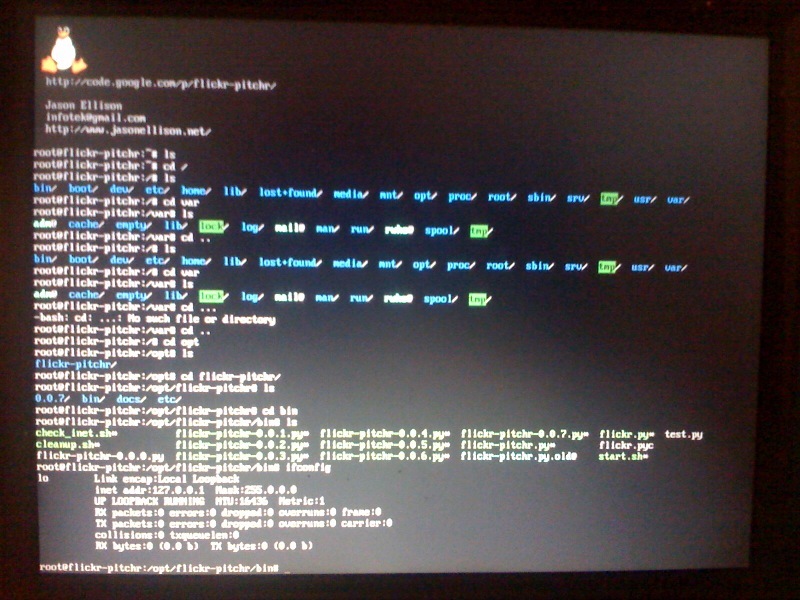 Got it to boot flickr-pitchr distro from an actual hard drive. But. No wifi support (le sigh). And I have exactly zero interest in figuring that out. So now I'm creating a new Ubuntu disk image to use under the assumption that it will be relatively easy to get the flickr goodness working on there. Hint: If you're going to create an Ubuntu VM, download a pre-built VM instead of doing a clean install from an ISO image into a new machine. I managed to get a shiny new install of Ubuntu working as the substrate for FlickrFrame. But, there's still a body of work required to get FlickrFrame working. Later-er - Time to move the configured Ubuntu image to the X30. Here's the working theory (at the time): Fire up one of the TinyLinux distro I used previously to dd flickr-pitch to the CF card and duplicate the Ubuntu image to the X30's HD. 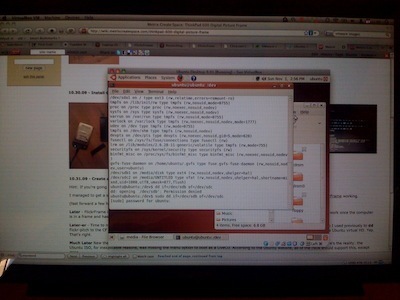 Here's the reality: TinyLinux won't recognize the file system on the Ubuntu virtual HD. Yep. That's right. Much Later New theory - Given that I had that Ubuntu ISO from earlier, boot from that as a LiveCD and use that environment to run dd. Here's the reality: the Ubuntu ISO, for inexplicable reasons, was missing the menu option to boot as a LiveCD. According to the Ubuntu website, all of the ISOs should support this, except mine. Even More Later-er - New theory - create a VM with a newer, more robust distro. Mostly because it was relatively small, I downloaded a recent FreeBSD image. Fired it up just fin….oh wait. What's the root password? Not published. Thanks for playing. Later - FAIL Same results. "Wrong fs type, bad option, bad superblock on /dev/sdc1…" Are we learning yet? Same problem I had building the bootable CF card. The problem is/was that the disk partitions were hosed. 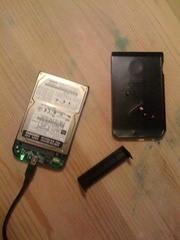 Either there were no partitions defined or it was too small to accept the inbound dd image. X30 drive rebuilt with single, full-disk partition. One more time with the dd. I think I may be done with this project. And I'll add the -noapic flag to grub.conf (assuming that's the right spot to put it) when I get home. Oh, and MattW gave me the MiniPCI card of my dreams. He promises it'll do WPA.